Jennifer Morrissette received her PhD from the University of Buffalo and subsequently completed post-doctoral research in the molecular biology of tumor suppression at Harvard Medical School. Her clinical fellowship training was through the Children’s Hospital of Philadelphia/University of Pennsylvania (CHOP/Penn) joint training program with board certification in Clinical Cytogenetics and Clinical Molecular Genetic Diagnosis through the ABMGG. She joined St Christopher’s Hospital for Children becoming adjunct faculty of the Department of Pathology and Laboratory Medicine at Drexel University, where she directed a clinical Cytogenetics laboratory. Currently, she is an Assistant Professor of Pathology at the University of Pennsylvania, where she is the Scientific Director of the Clinical Cancer Cytogenetics Laboratory and the Clinical Director of the Center for Personalized Diagnostics (CPD). Her interests lie in the implementation and analysis of clinical cancer genomic data to detect alterations relevant for patients treated at Penn Medicine. The Center for Personalized Diagnostics (CPD) is a clinical NGS laboratory and is certified through CAP/CLIA and has run over 8,000 clinical tumor specimens and over 1,500 research specimens in the past 4 years. 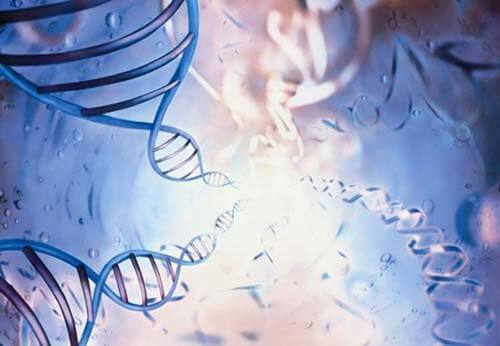 Through a joint effort with the Cancer Risk Evaluation Program (CREP) the CPD has implemented a triage for mutations suspected to be germline in cancer predisposition genes. Session Synopsis: This session will describe two institutions’ experiences with implementing precision technologies such as NGS for the genetic profiling of cancer, as well as show how a multi-modal approach to understanding cancer ultimately improves care.